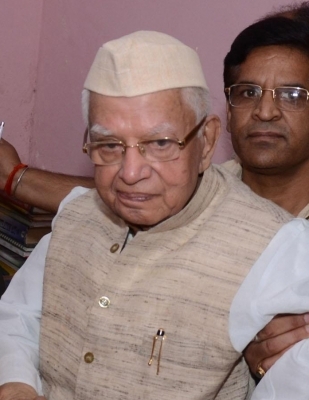 New Delhi, Oct 26 (IANS) Former Uttar Pradesh Chief Minister Narayan Dutt Tiwari, who was admitted to Max Super Specialty Hospital here last month, was shifted to the Intensive Care Unit (ICU) on Thursday following fever and pneumonia, said informed hospital sources. The 88-year-old Congress veteran was admitted to the hospital on September 20 after he suffered a brain stroke and paralytic attack. “Tiwariji was shifted to the ICU today in the afternoon. He had high fever and pneumonia. He is being monitored,” said a senior doctor at the hospital on the condition of anonymity. The veteran leader, who also served as Union Minister in successive Congress governments, as Uttarakhand Chief Minister and Andhra Pradesh Governor, is under the treatment of senior neurosurgeon J.D. Mukherjee and senior cardiologist Sumit Sethi.